Over at RadioInsight.com, Lance Venta has been tracking down Cumulus’ move to park the “WRXP” callsign on one of its Minnesota FM signals, and he speculates (with a lot of weight behind that speculation) that the end game would indeed be a modern rocker on 103.9 from the Bronx site, using the “WRXP” identity last heard on 101.9. In order to move the 94.3 signal eastward into Westchester County from its present three-watt Rockland facility (amusingly misspelled “Rocklin County” in the FCC filing), Cumulus has to show interference protection to four other signals: co-channel WYBC-FM in New Haven and WWSK on Long Island, WNYC-FM (93.9) in New York and Cumulus’ own WNSH (94.7 Newark NJ). That requires a pretty significant directional notch to the southeast to minimize the translator’s signal toward Long Island Sound, and especially toward WWSK. WWSK plays an important role not only in this proposed Westchester move but also in another part of Cumulus’ New York strategy: it’s essentially the only major obstacle to any attempt Cumulus might make to move its new WNSH (94.7) signal from New Jersey into Manhattan, either from the Empire State Building or Four Times Square. If WWSK could be moved somewhere out of the way of a WNSH move, it would also allow the 94.3 translator in Westchester to let out its proposed directional notch and better serve the coastal part of Westchester County. And so we have to wonder: does Cumulus have a deal in the works with WWSK owner Connoisseur? We’ll be watching closely. *The other full-power-to-translator move in the Empire State is a little clearer: Clear Channel’s WBBI (107.5 Endwell) is already alerting listeners that its oldies format is getting ready to change frequencies to 96.9. What’s 96.9 in the Binghamton market? Nothing so far – but as alert NERW readers learned a few months ago, that’s the frequency where translator W221AX (92.1 Endicott) is heading. with a new 99-watt signal from the tower used by WBBI and sister station WBNW-FM (105.7) in Endicott. *East of Binghamton on Route 17, there’s a frequency change coming to Shamrock’s WBZX (107.1 Hancock). The relay of “Rock 107” (WEZX 106.9 Scranton) is applying to move down the dial to 104.5 from its existing transmitter site on Bass Mountain, where it would increase power from 2.1 kW to 6 kW – and where the frequency change would make its off-air pickup of WEZX much cleaner, too. Where are they now? Former WSYR (and briefly, WCNY) talk host Jim Reith has landed in the public sector. CNYRadio.com reports he’s started a new $52,000-a-year job as spokesman for Onondaga County’s “Save the Rain” campaign, which aims to prevent storm water from entering the county’s sewer system. *We were pretty sure DJRA Broadcasting wasn’t going to let its 50,000-watt AM license in Albany evaporate – and sure enough, WDCD (1540) was back on the air last Monday, just a few days before the one-year mark on its silent period would have hit, triggering an automatic license cancellation. WDCD’s temporary return to the air finds the station simulcasting the religious programming that moved to sister WDCD-FM (96.7 Clifton Park) after the AM shut down last year; DJRA says it’s still looking for an economically viable format (or a buyer) to return the AM to the air permanently. Back to the translator front, where there was plenty of action in the Capital District as the March filing window for “singleton” translators from the 2003 “Great Translator Invasion” drew to a close. The window appears to be yielding at least three new translators in and around Albany, with an existing translator also filing for a significant upgrade. 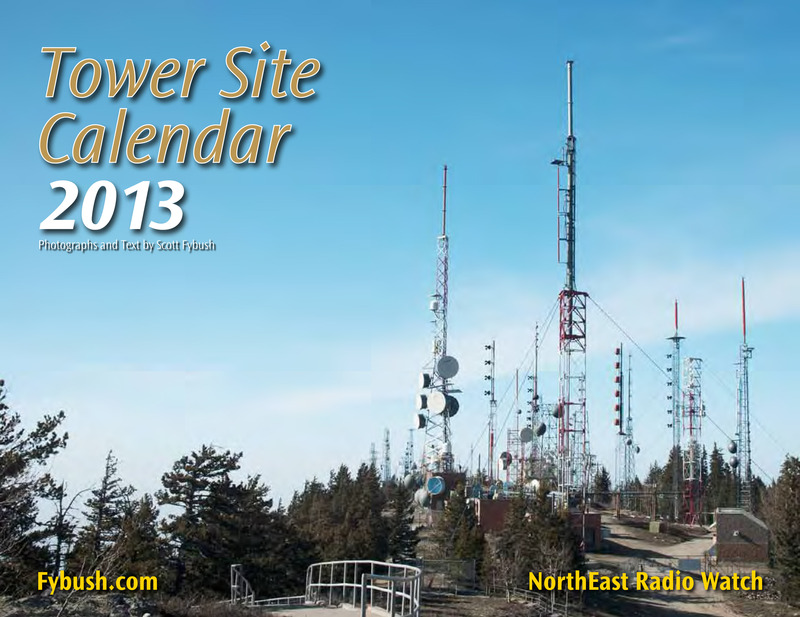 The new ones, first: EMF Broadcasting is moving forward with a 10-watter on 99.9 from the Bald Mountain site above Troy, where it plans to relay “Air 1” WYAI (93.7 Scotia). Galaxy Broadcasting had applied for a Colonie-licensed 100.5 signal back when it still owned stations in the Albany market (including the 93.7 that’s now WYAI), and it’s still forging ahead with its application for the frequency, which for now shows Townsquare’s WGNA (107.7 Albany) as its primary. At 92.9, Albany public broadcaster WAMC (90.3) has an application for a Scotia-licensed translator signal that will help fill in some gaps in its coverage around Schenectady – and just up the dial, WAMC is also applying to relocate one of its biggest and oldest translators. W226AC (93.1 Rensselaer) now runs 80 watts from a site in the hills east of Rensselaer, where it fills in some in-town gaps in the main WAMC signal coming from Mount Greylock in Massachusetts, but now it’s applying to go to 250 watts from Bald Mountain, with even better coverage of Troy and Albany. *Calvary Chapel of the Finger Lakes has two “singleton” translators it’s pursuing in the Ithaca area: it had applied for 96.7 in both Ithaca itself and nearby Danby, and it’s shifting the Danby application to 107.3 in an attempt to get both facilities granted. Down the road in Watkins Glen, Binghamton-based WSKG is applying to relocate its translator. W215AB (90.9) wants to shift to 90.5, where it will be out of the way of co-channel, co-owned WSQG (90.9 Ithaca); the move will also help clear the way for a small power increase at another WSKG-owned translator, W214AT (90.7 Corning), which will go from 3 to 8 watts. *What’s up with WKAJ (1120 St. Johnsville)? The 10,000-watt Mohawk Valley AM signal that got into big FCC trouble for continuing construction after its CP ran out back in 2011 once again has a valid construction permit – and now it’s asking the FCC for a minor modification to account for the four towers having been built at slightly different locations than specified in the original CP. Cranesville Block Company is still pushing ahead with the licensing process, and expects to have the station on the air later this spring. In Syracuse, WTVH (Channel 5) continues to struggle with a balky transmitter. The station’s signal from Onondaga Heights has been off the air repeatedly in the last few years, and it failed again last Sunday, once again leaving WTVH off the air for several days until replacement parts could arrive. (Luckily for viewers in the Syracuse area, the transmitter failure came between March Madness installments for the hometown Orangemen, and in any event a standard-definition feed of WTVH programming was once again quickly rushed onto the 3.3 subchannel of sister station WSTM.) Will WTVH get a technical boost when Sinclair takes over from Barrington as the operator of the Granite-owned station? There’s public radio news at the other end of the state, too, where it came right down to the wire as the construction permit for WNNU (89.5 Great Barrington) neared expiration at the end of March. Chuck Dube and his engineering team from parent station WFCR-FM (88.5 Amherst) did a masterful job of down-to-the-wire construction to get the new signal on the air at 8:00 Friday night, and it’s now bringing the news-talk format from WNNZ (640 Westfield) to the southern Berkshires from a site just across the state line in Hillsdale, N.Y.
Great Barrington’s WSBS (860) has a stronger FM voice now: translator W231AK (94.1) has completed its move to the AM tower on Route 7, which comes with a power increase to 250 watts from its former 35 watt facility atop the local hospital. Radio People on the Move: T.J. Taormina now has a morning co-host at Boston’s WODS (103.3 AMP Radio). She’s Loren Raye, who comes to “The TJ Show” from the Elvis Duran morning show at New York’s Z100, where she’d been working with T.J. until his move to Boston earlier this year. And is this the week that WHYA (101.1 Hyannis) launches its new “Y101” top-40 format? There’s now a Facebook page up for the station, and we’re hearing the lineup will include Elvis Duran’s New York-based morning show, along with PD Steve McVie holding down afternoons and Jackson Blue at night. *The RHODE ISLAND Radio Hall of Fame has announced its 2013 class of inductees. The list includes Mike “Doctor Metal” Gonsalves, the longtime WHJY (94.1 Providence) night jock who was among the victims in the Station nightclub fire a decade ago, as well as WPRO (630) talk host and former Providence mayor Buddy Cianci. This year’s class also includes John “Coach” Colletto, a longtime fixture on WPRO’s Salty Brine morning show, former WICE (1290) host Bill Corsair, WPAW (550)/WBRU (95.5) jazz host Fred Grady and WADK (1540 Newport) talk host Bob Sullivan. The induction banquet will be held May 9 at Twin River in Lincoln, and tickets are on sale at www.rirhof.org. *Mid-coast MAINE is getting a Boston Red Sox radio outlet this year: just in time for opening day against the Yankees today, Binnie Media’s WBYA (105.5 Islesboro) has signed a two-year deal to bring the team’s broadcasts back to the region. Just down the coast, the translator thaw is yielding a new signal at 106.1 in Ellsworth for Bangor Baptist Church’s WHCF (88.5). *On the edge of the Altoona market, a small AM signal has breathed its last. WRDD (1580 Ebensburg) returned its license to the FCC last week. The station had most recently belonged to Vernal Enterprises, but fell silent after the 2010 death of Vernal principal Larry Schrecongost. In Pittsburgh, Laura Varner Norman is out as general manager of Martz Broadcasting’s WAMO (660/100.1) after two years; the New Pittsburgh Courier reports Gary Gunter is inbound from Radio One in Baltimore to replace her. And in Philadelphia, it appears a format change at Radio One’s WRNB (100.3 Media) is no April Fool’s joke: at 5 this afternoon, the station is expected to announce a flip from straight-ahead R&B to “Old School 100.3,” following on the heels of similar Radio One outlets in Dallas, Charlotte and St. Louis. *The translator thaw has unfrozen three “singleton” applications in Pennsylvania: in Meadville, a Clear Channel translator application was to have relayed WREO from Ashtabula, Ohio, but Clear Channel has long since sold that station, so for now the application calls for EMF’s WCVJ (90.9 Jefferson OH) as the primary. In Uniontown, one of EMF’s own applications made the list: it will operate on 106.3, relaying WPKV (98.3 Carnegie). And in Moosic, Susan Clinton’s application for 105.5 made the list, relaying WCOZ (90.5 Laceyville). In Jonestown, Mary Medicus has modified her 104.5 translator application to instead specify 104.7, relaying Family Life’s WLKA (88.3 Tafton). *Hope Christian Church of Marlton was the big winner in NEW JERSEY’s translator thaw: it now has pending applications for 97.7 in Marmora, 100.3 in Cape May and 104.1 in Absecon, all relaying its WVBV (90.5 Medford Lakes). In Rio Grande, Ted Schober’s application for 104.5 is moving forward, relaying WSCL (89.5 Salisbury MD), and there’s a pending application now in the “singleton” pile for a WGLS (89.7 Glassboro) relay on 100.3 in Pleasantville, where it will serve Atlantic City. And what’s a Garden State station doing carrying the Angels radio network, all the way from Anaheim? WSNJ (1240 Bridgeton)/WMVB (1440 Millville) has picked up the Halos this season because of their star player, Mike Trout, who’s a native of Millville. As best we can tell, it’s the first time the Angels have had an East Coast affiliate on their network. *A format flip in Atlantic CANADA: CJFX (98.9 Antigonish NS) dropped the hot AC piece of its classic hits format, adding more oldies from the 1960s through the 1980s. It’s no longer “XFM,” but instead is now known as “98.9 the Nish,” reports Dan Sys’ Canadian Radio News. While we’re out Nova Scotia way, we note an application from D&K Communications for a new station in Windsor. The 45-watt/6-meter station would program a country and pop format on 99.3 using call letters CKWI, if it wins CRTC approval at a May 25 hearing in Gatineau, Quebec. *Onward to some Baseball on the Radio, then? Our look at this season’s radio coverage continues this week with the top rung of the minor leagues, the AAA International League, and we start as always with our hometown Rochester Red Wings. 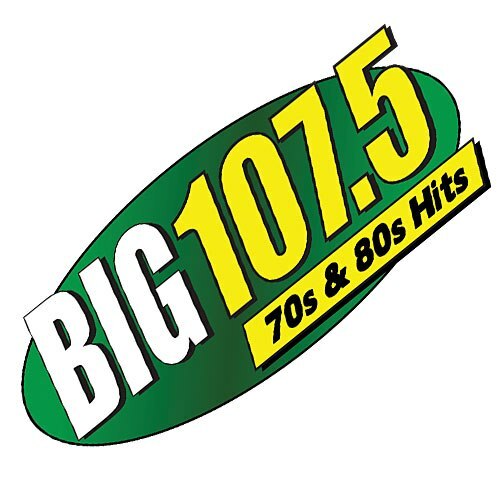 They lost their FM simulcast midway through last season, when Clear Channel flipped WHTK-FM (107.3 South Bristol) to oldies WODX, but the Wings stay in place on the remaining AM side of the former sports simulcast, WHTK (1280); day games continue to shift to WYSL (1040 Avon) to avoid cutting into WHTK’s Fox Sports lineup. The Buffalo Bisons remain in place on WWKB (1520), while the Syracuse Chiefs, in newly-renamed NBT Bank Stadium), have left the broadcast airwaves entirely. Unable to reach a deal with last year’s flagship, WSKO (1260), and unhappy about WSKO’s move away from local talk, the Chiefs are going webcast-only for 2013. (Peter Naughton has an incisive look at the reasoning behind the move over at CNYRadio.com that’s well worth the read.) All three “Thruway Series” teams enjoy extensive TV coverage on Time Warner Cable Sports as well. The Pawtucket Red Sox enter 2013 with a new voice in the booth, having lost play-by-play guy Aaron Goldsmith to the Seattle Mariners after just one season in the Ocean State. Bob Socci moves up the coast after seven years with the Norfolk Tides to become lead play-by-play voice, paired with Jeff Levering, who’s inbound from the Springfield (Missouri) Cardinals to replace Steve Hyder. The PawSox remain with WHJJ (920 Providence) as their network flagship, and a dozen additional signals as far afield as southern New Hampshire and Vermont will carry a partial lineup. After their bizarre 2012 season without a home stadium, the Scranton/Wilkes-Barre Yankees are back home at a renovated PNC Field. They have a new name – the Scranton/Wilkes-Barre RailRiders – and a renewed five-year radio deal with Bold Gold Media Group. The deal keeps the team in place on Bold Gold’s “Game” sports network, which now includes a Wilkes-Barre FM translator (100.7) in addition to WICK (1400 Scranton)/WYCK (1340 Plains)/WCDL (1440 Carbondale). There’s a new announcer as well, with John Sadak moving up from the Carolina League to replace Mike Vanderwoude in the booth. And there’s a new TV deal, with 20 games to be carried live on MyNetwork outlet WQMY (Channel 53). Things are much more status quo over at the Lehigh Valley IronPigs, where WEEX (1230 Easton)/WTKZ (1320 Allentown) return as radio flagships (with WNPV 1440 Lansdale as an affiliate) and Matt Provence and Jon Schaeffer return to the booth. The ‘Pigs also enjoy unusually extensive TV coverage, with the entire 72-game home lineup televised on a cable network provided by Service Electric Cable, Blue Ridge Cable and Hazleton’s WYLN. Saturday home games will also be seen over-the-air on Allentown’s WFMZ-TV (Channel 69). The Portland SeaDogs continue on WPEI (95.9 Saco)/WPPI (95.5 Topsham), with additional coverage up north on WEZR (1240 Lewiston), WTME (780 Rumford) and WKTQ (1450 South Paris). The New Hampshire Fisher Cats are (we think) back on WGIR (610 Manchester) and WQSO (96.7 Rochester). The New Britain Rock Cats continue on WPOP (1410 Hartford), with additional coverage on WLIS (1420 Old Saybrook) and WMRD (1150 Middletown). The Binghamton Mets appeared to be on the verge of leaving town last year, but they’ve renewed their agreement with the parent team down in the big city and will remain in place through 2015 – and they return to WNBF (1290 Binghamton), with Kevin Heiman in the booth for a second season. The Harrisburg Senators return to WTKT (1460 Harrisburg) for another season, with Marshall Keiner (formerly of the Battle Creek Bombers) joining Terry Byrom in the booth this summer. Down the road, the Reading Phillies have become the Fighting Phils, but they remain in place on WRAW (1340) for a second season. The Altoona Curve just re-upped for a fifth season on WVAM (1430), with Nathan Bowen joining veteran Mike Passanisi in the booth this year. WCCL (101.7) in the Johnstown market joins the Curve network, which also includes partial coverage on WTRN (1340 Tyrone), WCPA (900 Clearfield) and WBGG (970 Pittsburgh). And of course there’s that one lone single-A South Atlantic League outpost in NERW-land: on the Jersey shore, the Lakewood BlueClaws have added Dan Acheson (formerly with the Portland Sea Dogs) to the broadcast booth alongside Greg Giombarrese; they’ll be heard once again on WOBM (1160 Lakewood)/WADB (1310 Asbury Park). We’ll continue 0ur Baseball on the Radio coverage with the independent leagues, and then wrap it up in June when the short-season single-A New York-Penn League kicks off. *It is, by far, the biggest station sale in NEW YORK State – and indeed, in all of NERW-land – so far in 2012. But perhaps the biggest news about Barnstable Broadcasting’s sale of its four Long Island signals last week is the price tag: just $23 million for class A FMs WIGX (94.3 Smithtown), WKJY (98.3 Hempstead) and WBZO (103.1 Bay Shore) and AM daytimer WHLI (1100 Hempstead). It’s a far cry from the huge prices that even suburban signals once fetched, and it’s arguably even a cut below the $15 million that Cox took in when it sold then-WCTZ (96.7 Port Chester) to EMF Broadcasting in 2010. It’s hard to make a direct comparison, since WCTZ’s price included the value of the station’s relocation from Stamford, Connecticut to New Rochelle, with partial New York City coverage; the WCTZ sale, unlike the Barnstable sale, included none of WCTZ’s intellectual property or billing. In 2010, we’re told the Barnstable cluster billed about $12 million in all, with more than half of that attributable to WKJY, and that suggests these stations changed hands for something ar0und four times cash flow, which would have been an unimaginably low multiple at the top of the market. The sale takes Barnstable out of the market, and indeed out of the radio business entirely after decades in which the Massachusetts-based company grew to encompass more than twenty signals. And it brings Jeff Warshaw’s Connoisseur Media into a market just across Long Island Sound from its Westport, Connecticut headquarters. For now, as usual, Connoisseur is saying no programming changes are planned at the stations, but there’s certainly room for some shifts – and maybe an even bigger opportunity down the road. It’s unlikely Connoisseur will tinker too much with WKJY, since the AC “K-Joy” format there has been one of the Island’s most consistently successful. The oldies on WBZO (“B-103″) are probably safe, too, and there’s not much else to do with WHLI but to keep playing the standards that draw a small and aging, but very loyal, audience. Then there’s WIGX, where the “94-X” 90s-hits format installed in 2010 has failed to catch fire. It’s widely expected that Connoisseur will install its own “Bob” adult hits format on 94.3, at least in the short term. But in the long term, could Warshaw’s strategic upgrade skills make the signal much more valuable by using it as a pawn in a bigger move? Recall that the allocations experts have been poring over the upgrade potential for WFME (94.7 Newark NJ) as Family Stations prepares to sell that Class B signal on the opposite side of New York City…and that in doing so, many of them have realized that the biggest obstacle by far to moving WFME to a Manhattan transmitter site is, yes, WIGX. The Long Island 94.3 signal is fully spaced to WFME right now but would be impermissibly short-spaced to any WFME Manhattan site unless the Long Island station can move out of the way. It’s not clear to us that it can move (the Smithtown allocation is very tightly wedged in among other short-spaced signals), but if a WIGX relocation is at all possible, it could be a valuable chess piece in a much bigger radio game down the road. Connoisseur is no stranger to creative move-ins; in Erie, Pennsylvania, the company’s only existing NERW-land cluster, the company is in the process of relocating “Rocket 101″ WRKT from 100.9 to 104.9 at a new site much closer to the core of the market. *The latest chapter in the roaming translator currently known as W292DV (106.3) has taken the low-powered signal back across the East River. After interference complaints forced the translator to suspend operations from Four Times Square, it now has a construction permit to return to the air from the roof of an apartment building at Skillman Avenue and 40th Street, two blocks north of Queens Boulevard in Long Island City. It’s now authorized for just 25 watts, non-directional, and owner “Apple 107.1″ (Michael Celenza) now says it will relay WVIP (93.5 New Rochelle, or perhaps one of its HD subchannels) instead of its previous primary, the HD2 channel of Clear Channel’s WLTW (106.7). Is this the last stop in an odyssey that has taken the translator from Brooklyn to Union City, New Jersey to Manhattan to Long Island City? We wouldn’t bet on it. *On TV, CBS has taken over operations of WLNY (Channel 55). The Long Island-based independent station did its last 11 PM newscast from its Melville studios Thursday night. and by Friday morning the station’s operations had been moved to the CBS Broadcast Center on West 57th Street in Manhattan. Gone in the move were WLNY’s longtime syndicated staples, “Jeopardy!” and “Wheel of Fortune”; it’s competitor WABC-TV that has the New York City rights to those shows, and while WABC was willing to let WLNY carry them as well when the Pascucci family owned the station, it’s apparently not so eager to let CBS run them. WLNY gets a new logo out of the move (with a distinct similarity to that of KCAL-9, a similar CBS-owned independent that’s in a duopoly with Los Angeles O&O KCBS-TV), it’s now broadcasting in HD, and it will get newscasts again at some point in the not-too-distant future (reportedly mid-June), though surely not at 11 PM against WCBS-TV’s own newscast. Will WLNY follow the lead of KCAL in running local newscasts at non-traditional times such as 3 PM, 8 PM and 9 PM? *A format change in VERMONT: after two years as active rock “The Wire,” Steve Silberberg’s WIER (102.3 Grand Isle) flipped to hot AC as “Mix 102.3″ on Friday. The new Mix is competing against Vox’s WEZF (Star 92.9), which has a new morning team. Afternoon host Mary Cenci shifts to wakeup duty alongside Tim Kavanagh. Former host John Nolan is out, and his co-host Tara Madison is moving to afternoon drive to replace Cenci. *In western MASSACHUSETTS, the former WHYN-FM (93.1) morning team of “Dan and Kim” will be moving to TV later this month. Dan Williams and Kim Zachary (who are husband and wife as well as broadcast partners) were unceremoniously ousted from “Mix 93.1″ in mid-January, but on April 23rd, they’ll become the hosts of the new “40 in the Morning” show on WGGB (Channel 40), the Springfield market’s ABC affiliate. Who’ll sign on with WEEI’s network? Entercom already runs WEEI relays in many of southern New England’s biggest markets – Providence (WEEI-FM), Worcester (WVEI) and Springfield (WVEI-FM). It’s hard to imagine Connecticut stations, sitting on the fence between Red Sox/Yankees and Patriots/Giants, warming to the very Boston-centric WEEI network. But that still leaves much of the territory the Nassau deal was to have covered – Cape Cod, Manchester/Concord, the Upper Valley, Portland – as well as the rest of Maine, not to mention smaller communities in New Hampshire, Vermont and western Massachusetts – where a turnkey affiliation with the big-city sound of WEEI might be just the ticket, as it were, for struggling AM operators. *A major piece of Bay State broadcasting history may soon have a date with a wrecking ball. After sitting all but vacant for the last few decades, the old Westinghouse Electric plant on Page Boulevard in East Springfield is being targeted for demolition, with its high-visibility site just off I-291 to become home to a new shopping center. There’s just one thing, though – it was on the roof of one of those Westinghouse buildings that a little radio station called WBZ made its first broadcasts in September of 1921. No, it wasn’t the “first” anything, except to receive the first “commercial broadcast” license (though Westinghouse would promote that technicality for many decades thereafter), but it was the beginning of a long and distinguished broadcast history for New England’s biggest AM station. And as time and development took their toll on other pioneer broadcasting sites – nothing now remains of the original homes of KDKA or WJZ or 1XE – the towers that supported WBZ’s first antenna endured. Will the proposed $45 million development be the end of this all-but-forgotten bit of New England broadcasting history? NERW hears the question will be raised at a public meeting about the project tomorrow night in Springfield…stay tuned. *From NEW HAMPSHIRE, we’re sorry to have to report the passing of John Guarino, who worked at numerous stations in the region, including WLLH in Lowell, WSMN in Nashua, WKBR in Manchester, WJYY in Concord, WOKQ in Dover and WDLW in Waltham, under air names that included Jay Carroll and Jack Davis. In recent years, Guarino had been working as a network administrator at Anixter in Salem, though he was still heard on-air with liners he’d recorded for WJIB in Cambridge. Guarino had been battling lung cancer; he died last Monday (March 24) of complications following multiple strokes. He was just 52; he’s survived by his wife Carol. *The wholesale transition from AM to FM in CANADA isn’t proceeding without a few rocky patches – and one of them is in Sherbrooke, Quebec, where Corus has found that CHLT-FM (102.1) isn’t fully covering the wide area that was once served by the old CHLT (630). As a result, Corus is asking the CRTC for permission to move the FM station up the dial, to 107.7, and up in power, to 50 kW DA/161.9 meters, from a new transmitter site. We’ll go next to CONNECTICUT and the sale of a longtime community voice: for $1.5 million, Business Talk Radio takes over from John Becker as the owner of WGCH (1490 Greenwich). Widely regarded as one of America’s best community stations, WGCH was founded almost 40 years ago to provide an alternative voice to the then-commonly owned WSTC Stamford, Greenwich Time and Stamford Advocate – and Becker was one of the founders. Now he’s cashing out, but not without ensuring that WGCH will keep doing what it does: the contract includes a provision that WGCH’s current news team will continue to have jobs for three years. The deal also appears to solve, at least for now, the dilemma of WGCH’s transmitter site. Since the station has still been unable to get permission from Greenwich officials to build a new tower, it looks as though WGCH will stay put at its Putnam Avenue site with a new (and more expensive) lease. Albany-based Pamal is moving deeper into MASSACHUSETTS. Jim Morrell’s group is paying $8 million to acquire WRNX (100.9 Amherst) and WPNI (1430 Amherst) from Tom Davis’ Western Massachusetts Radio Company, making the Pioneer Valley stations its first in central Massachusetts. WRNX does a rock-leaning AAA format for Amherst, Northampton and Springfield, while WPNI operates in a partnership with the University of Massachusetts’ public WFCR (88.5), carrying a schedule of NPR news and talk programs that complements WFCR’s offerings. The big news out of NEW JERSEY is the sale of yet another Mega property – this time, the first of the group’s FMs to be sold. WEMG (104.9 Egg Harbor City), which puts a remarkably solid class A signal across most of south central New Jersey and well into the Philadelphia market, is about to become the latest addition to Nassau’s growing Jersey group. For now, the station is stunting with a loop directing “Mega 104.9” listeners to the AM side of the former simulcast, WEMG (1310 Camden NJ); we’ll keep you posted as a new format arrives on 104.9 any day now. TUESDAY UPDATE: “Assuming it’s not a stunt,” we said – and hey, it is April Fool’s Day, isn’t it? At noon today, “Kiss” went away, the folks at Wild breathed a little easier, and their colleagues down the hall at Citadel classic rocker WAAL (99.1 Binghamton) had their turn to get nervous as Clear Channel launched classic rock “107.5 the Bear,” with Jim Free handling PD duties. (Former B PD Doug Mosher is still with the cluster in an off-air capacity.) We’re told this one is the real format, at least for now! DOJ, part II: Hicks, Muse’s Capstar and Chancellor groups are slimming down in the New York market. Unable to win Justice approval for its proposed purchase of SFX’s Long Island group, Capstar is spinning rockers WBAB (102.3 Babylon) and WHFM (95.3 Southampton), CHR WBLI (106.1 Patchogue), and talk/gospel WGBB (1240 Freeport) to Cox for $48 million. Cox has no Long Island properties…but it does own the powerful “Star 99.9,” WEZN Bridgeport, just across Long Island Sound in Connecticut. Capstar keeps AC WALK-FM (97.5 Patchogue) and soft AC WALK (1370 East Patchogue, which had been simulcasting part-time on WGBB), as well as Chancellor’s Big Apple group of WLTW (106.7), WBIX (105.1), WAXQ (104.3), WKTU (103.5 Lake Success), and WHTZ (100.3 Newark, N.J.). Also being spun is Capstar’s group in Westchester County, New York, and Fairfield County, Connecticut. Frank Washington will pay $15 million to pick up rocker WRKI (95.1 Brookfield), oldies WAXB (105.5 Patterson), country WINE (940 Brookfield) and WPUT (1510 Brewster), AC WFAS-FM (103.9 White Plains), news/talk WFAS (1230 White Plains), and smooth jazz WZZN (106.3 Mt. Kisco). It looks like Capstar is keeping oldies WKHL (96.7 Stamford), classic rock WEFX (95.9 Norwalk), and news/talk simulcast WSTC (1400 Stamford) and WNLK (1350 Norwalk). And across the border, Toronto’s CBC Radio One outlet could be on FM as early as next month. Once 99.1 FM signs on, the six-month clock starts ticking for the demise of CBL on 740 kHz. According to the WQSO-FM 96.7 website (http://tinyurl.com/cecwffj), New Hampshire Fisher Cat games will be on WGIR-AM 610 and WPKX-AM 930 this year. Or, at least the first few games of the season will be. A FANTASTIC April Fools Day column! I heard the news about the replacement of “Talk of the Nation” with “Here and Now” on WBUR itself during NPR’s newscast at the top-of-the hour last week. So I thought to myself “hey, wait a minute! WGBH-FM took that news cast too”. So at the top of the NEXT hour, I checked NPR news on WGBH-FM, and the story was repeated then too. There must have been a fair amount of bruxism (grinding of the teeth) on Western Avenue that morning.